An avid reader, Donald has a burning desire to be a useful vessel for the Lord. He makes himself indispensable by fulfilling the Scriptural admonition, “Whatsoever thy hand findeth to do, do it with all thy might”. 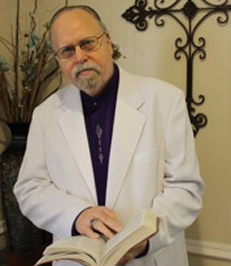 A Certified Facilitator with Family Dynamics Institute, as well as Pastoral Counseling, He is also a Certified Biblical Counselor and a Member with Tripp Bible Institute. He has a heart for those who are hurting. He is also a Chaplain, with the National Certified Chaplains Association, Called to the Ministry at an early age but waited till the age 33 to start studying for the ministry at 35 he took the step and has been faithfully serving the Lord. Since that time he has by faith went back to school and studied and received his Bachelor’s Degree in Business Administration, Master’s Degree and Dr. of Education, In Theology And Biblical Counseling From Kingsbridge University.